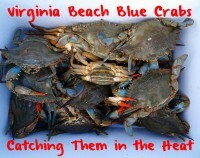 Blue crabbing season is in full swing from Florida to Long Island and while action is excellent in some coastal areas others are having to work harder to catch bushels of crabs as extreme summer heat sets in. When conditions get tough adding more scent to crab baits can aid in drawing more crabs in, and also from longer distances than a simple piece of chicken, bunker or any other bait would. In fact, we’ve found success soaking rags, socks and even t-shirts in Pautzke’s new Blue Crab Fuel. Using this scent couldn’t be simpler. It’s fool proof. Add Blue Crab Fuel. It’s important to pour in enough to submerge the rags/bait. Many crabbers substitute a rag for bait. Blue Crab Fuel soaks into the rag and creates a strong scent trail that the crabs think is bait. When used, and depending on the amount of current in the system you’re crabbing, the scent will seep out for several hours. After a few hours it’s best to use a fresh piece. Oftentimes, as you see the color fading out following a few hours of use it will be time to replace bait. (Left) Bait after a three hour soak. (Right) Fresh bait soaked in Blue Crab Fuel. Editor’s Note: Pautzke’s new Blue Crab Fuel is available at many coastal Walmart stores from Long Island to Georgia and also at Bass Pro Shops.